Beautifully hand-crafted in pure Kashmir silk with an extremely intricate design pattern. The design is extremely hard to make and countless threads of various colors have been used to produce this masterpiece. - Stunning Blue Diamond Kashan intricately hand woven by our very talented craftsman. 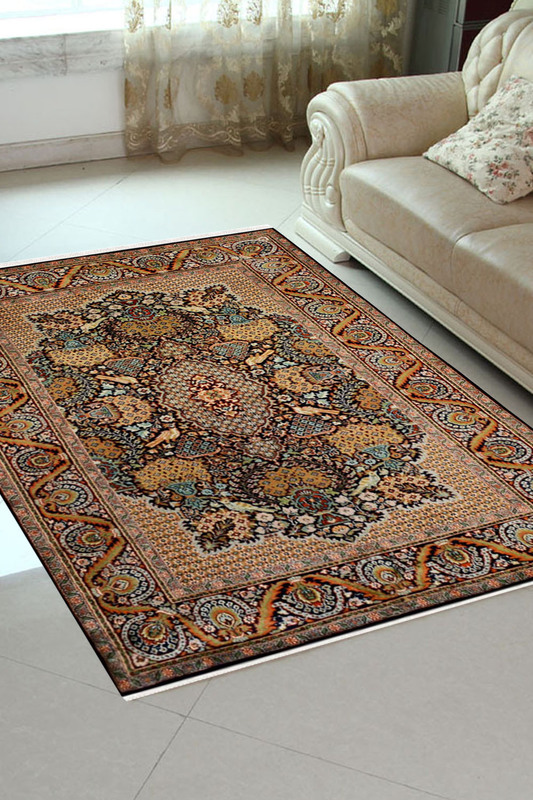 - This rug is one of its kind and is a unique product. - It has a double layered floral border with intricately woven curvilinear pattern. - Primary colors of this rug are royal blue, gold and sky blue. - The medallion is a jewel-type center piece and gives a very luxe look to the rug. - The design of this rug is originated from the Northern part of Persia in the late 19th century. - Our expert recommendation is to place this rug as a featured rug or as an exclusive wall hanging.